We will then provide you with a quote for us to clear the property. Our quotes include all costs, there is no hidden charges. Our quotes also include the clearance and disposal costs of any fridges or anything similar that is now categories as hazardous waste. Once the quote is accepted and you are happy to book an appointment for us to clear the property, we will then arrange a date and time for us to do so that is best for yourself. Our staff will arrive at the agreed time, fully uniformed in one of our large furniture luton vans. We always work with respect and dignity in mind and will work until you (our customer) is completely satisfied with the house clearance. Upon completion you will be provided with a full invoice with all our company details for your own records. Do You Need A House Clearance? At Foxtons house clearance, we offer a discreet, reliable, professional house clearance service that offers comfort and piece of mind. We guarantee to meet your expectations. We work with home owners, landlords, estate agents and solicitors across the whole of the UK. How Much Does House Clearance Usually Cost? Many customers whilst seeking house clearance wonder why there is such a vast pricing difference between house clearance companies, the answer is very simple, in a professional house clearance the companies biggest costs are the disposing of waste legally and staff wages, if you receive a low priced wuote for a full clearance then please be aware! 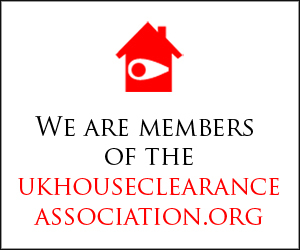 Below we have provided a link to the UK House Clearance Association who have compiled a guide to explain to you (our customers) the costs that are actually involved in a house clearance. The guide provided on the site is for you to understand the costs involved for a reputable clearance company to clear an average sized house. The information is supplied from various members listed on the Associations site. What Happens To The House Contents? We will always put items to one side from a house clearance that we think can be reused, these items will be donated to a charity. We often ask our customers if they have a preferred charity and once we have completed the house clearance we will forward these items to that charity. Although we try to donate as much as we can, it is not always possible for us to do so. Any items from a house clearance that can not be donated will be forwarded to a pro recycling centre where it will be recycled in the correct manor and eventually reused again. I Would Like The Possessions Disposed Of Discreetly? Our staff always work with respect and dignity in mind. We can assure you that your items will be cleared and disposed of discretely. We use large, white unmarked luton vans when carrying out a house clearance for your own discretion, our vans hold no sign writing and inside the back of our vans are not visible. Our teams always handle personal possessions with care. How Do I Know That A Company Holds A Waste Carriers License? You can check online on the environment agency website HERE to check a waste carrier, their full details will be provided. If you require more information on how to go about getting a house clearance you can call Foxtons free on:0800 2922388 and we will be more than happy to help with any enquiries you may have. You can of course call us, Foxtons House Clearance. We will be more than happy to carry out any house clearance for you or even just to offer you free impartial advice on what would be the best way to deal with your situation. If you decide not to use Foxtons House Clearance, we advise you to please choose a reputable company and most importantly check that they are fully licensed to carry all waste. 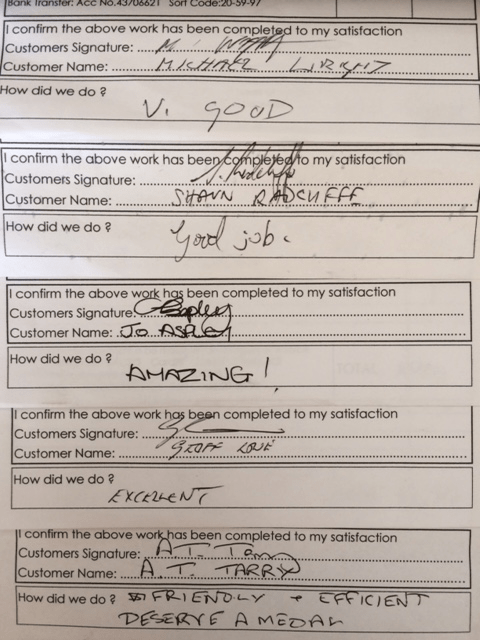 We have had many happy customers in the past and have a lot of experience in the house clearance industry, our work is always completed to a high standard and all items are cleared and disposed of professionally. There is a lot of house clearance companies out there, some offering a good professional service and some not so good. In the past we have carried out a lot of work after other (rogue) companies and can only advise you that if the service/price seems to good to be true then in this case it usually is. 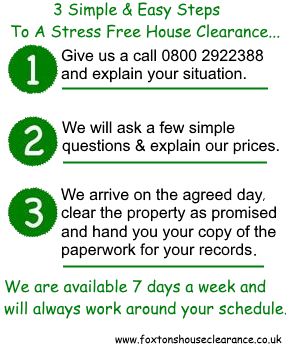 Are you in need of a professional clearance solution for your property?